Student Max Chatfield, who is currently studying the UAL Diploma in Creative Media Production & Technology at City College Brighton and Hove, has had a video essay that he made as part of his college course published on nofilmschool.com. nofilmschool.com is a leading destination for knowledge-sharing in the film industry and provides readers with a wide spectrum of filmmaking material. The subject of Max’s video was Academy award-winning film editor and sound designer Walter Murch, whose credits include Apocalypse Now, The Godfather, American Graffiti and The English Patient. 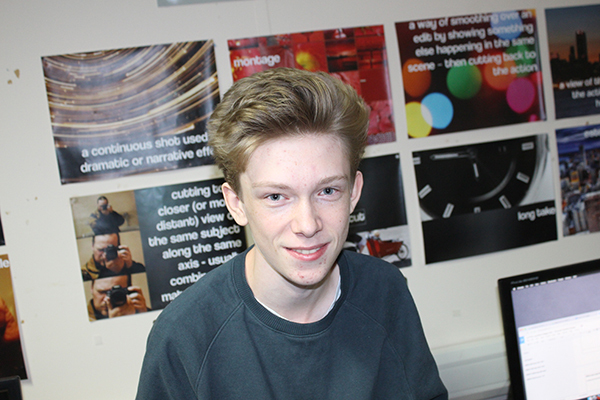 Max’s film, which was produced as part of his coursework research into professional specialisms in the film industry, will now being used as a research tool by film students all over the world. I’d posted the video on my YouTube channel like I do with all my college work and the next thing I knew, nofilmschool.com had picked up on it and written a whole article explaining my video with a link to it. This led to loads of shares on Facebook and Twitter and the view-count just keeps growing. To be honest, it was quite surreal to see myself being featured on the site because I use it all the time myself. Being on this course has helped me learn so much more about the technical side of filmmaking and also about how the industry works. My ambition is to be a film editor and having coursework that broadens your understanding of the craft really helps with your progression to becoming a professional yourself.